Online food ordering business is growing rapidly and local food outlets are extending its reach to international market. Food ordering apps such as UberEats, Seamless, GrubHub, and JustEat are best example of how this niche has promising future. People love eating and they will continue doing throughout their lives. Clone scripts of popular on demand service marketplaces can act as base for creating your own food delivery app or website. Why UberEats clone script? Both cab and restaurant aggregators are on demand service marketplace businesses which require instant action. Little research on some important aspects can guide you to select best suited UberEats clone script for your food delivery business. Before comprehending aspects for research, let’s first understand process involved in building a food delivery app from UberEats clone script. Technical aspects of online food ordering software are important to consider when you intent to launch online food delivery business as competitive as food delivery app. Depending on your budgets, location of your service and business requirements from platform. Study clone script on following aspects to choose the best UberEats clone script for your food delivery business. Technical aspects for platform compatibility decide extent of your business to users with different devices. Owning a food delivery website is just not enough to run successful food delivery operations in 2019. The UberEats clone script vendor must offer support for versions of web, android and IOS apps. Key partners in food ordering business are customers, restaurants and delivery personnel. All three partners must possess touch point to connect with each other when required. Efficient UberEats clone script will provide three different applications for three different partners in the process. Main feature aspect of food delivery business is availability of secure and multiple payment options. Having multiple payment options ensure that users done bounce back just because they didn’t find preferred payment method on your app. Make sure the food ordering script supports advanced search filters that allows users to not just search food or restaurant but also filter search results. Automatic Geo location tracking is important to display food items from restaurants that are servable in specific location. Letting users to write reviews or rate food you would be utilizing user generated content for the good of your business. Ultimately it will encourage more users to use your platform with more reviews came from fellow users.Are you interested to start food ordering platform like UberEats? 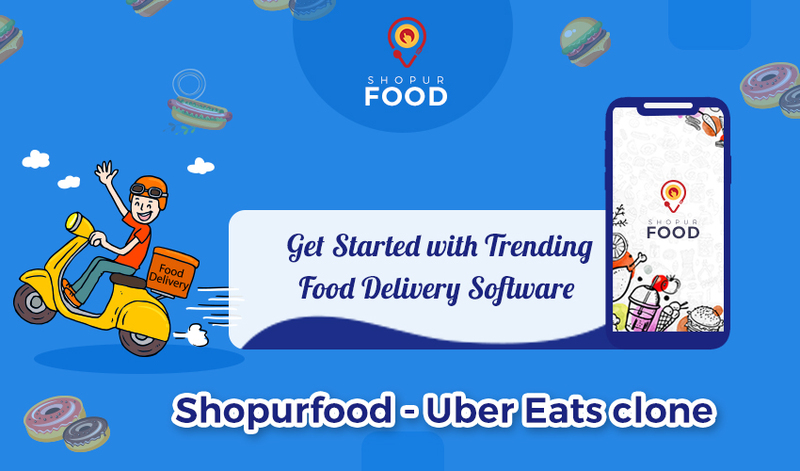 ShopurFood helps you to build online food ordering software platform for your business needs.